The following is direct copy-paste from my notes. I have had some time to reflect on this, but I’m strongly leaning towards Karen Barad’s Agential Realist Interpretation, which I will post about after doing some more reading. Realism: reality does not exist without observation “counterfactual definiteness” coexistence of everything possible. Freedom of choice: the universe and all of our actions are deterministic. In one of my earlier posts I mentioned Bell’s Theorem and I’ve been spending some time reading thinking about this in relation to the EPR Paradox. That splintered off into many interesting and different directions for further reading and consideration, listed below. My interest in this area connects with my epistemological inquiry, and the idea of objects and subjects as being mutually constructive. Update: I wrote this months ago and have not had a chance to return to it until now. After a week of seminars with Karen Barad, I’m inspired to return to this tough work but it’ll take a few posts to get from where I was at the time or writing the above to where I am now. I keep hoping to keep up with my reading and reflections for this project and I am not succeeding. I’m spending most of my time just catching up, rather than reading what I’ve already flagged as interesting and considering what has already been discussed. Unfortunately this post will not be any different; it’s a quick description of the last meeting and some quick notes of things to go back to. Does this mean the macro structure is and difficult to predict from the micro structure? Equal probability of being in different states? What does frustration mean in terms of dynamics over time? Spin Glass used to model dynamics in biological neural networks. What is the grand theory in Condensed Matter Physics? (spooky?) Action at a distance. Last night a subset of the LOoW folks got together at Emily Carr for a presentation on emergence from an artistic perspective and have some informal discussions at a pub. 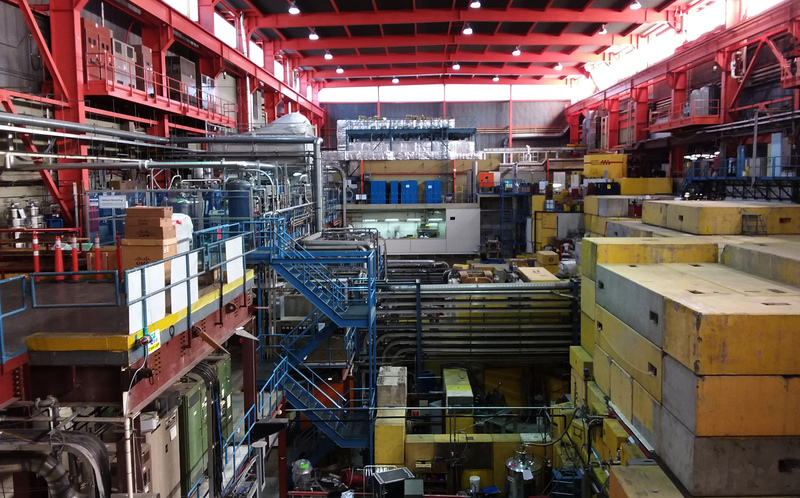 First Leaning Out of Windows TRIUMF Visit. On September 28th I was present for the first meeting of the third phase of the Leaning Out of Windows project. I’m really excited about this project as I had previously been inspired by physics in my artistic work (“Engineered“) and have been looking to get back into that body of knowledge. I applied for a few COLLIDE residency awards at CERN over the last couple of years and made video submissions available here and here.